On the night of December 13, 1862, the Battle of Fredericksburg was over, but the soldiers didn’t know it yet. All they knew was the bone-chilling cold, the shrieks and moans of the wounded, the sweeping wind, and the Northern lights dancing in the sky above them. 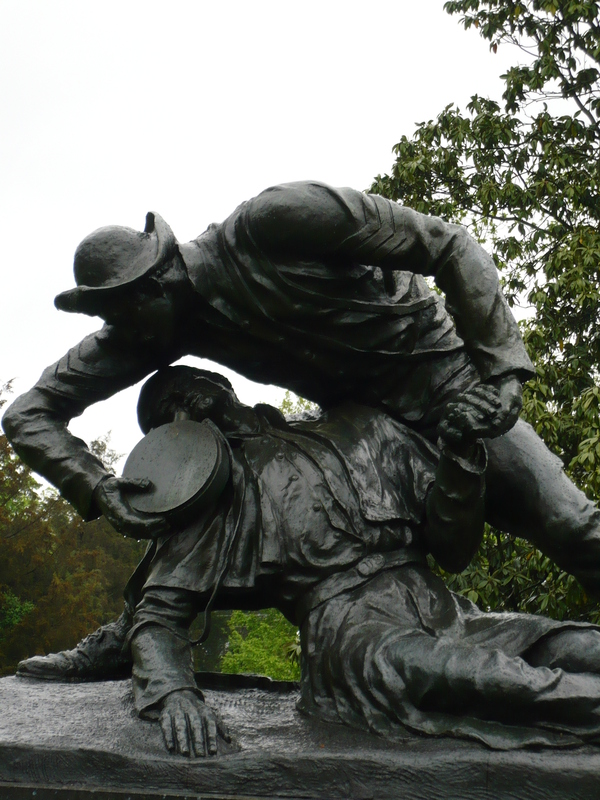 While the battle had unfolded with Union attacks along the Confederate line, the repeated assaults on Marye’s Heights had left a blue carpet of dead and wounded in the open field. It was at Marye’s Heights that an officer had assured General Lee the artillery crossfire was so deadly a chicken could not live on that field. And for Union troops who survived the artillery fire, Confederate infantry waited in the Sunken Road. The famed Union Irish Brigade had made a supreme effort and yet only came within about 40 yards of that defensive position. The field was a no man’s land. Uninjured survivors sheltered behind the bodies of their dead comrades while Confederate snipers watched the field for movement. Morning came: December 14, 1862. Skirmishing started at the base of Marye’s Heights and continued intermittently through the day. Yet another sound echoed over the bloody field – cries for help, groans of pain, and a relentless cry for water. Alone, a nineteen year old young man left the safety of the Sunken road. There was no weapon in his hand and no battlefield scavenger greed in his heart. He stood between the muzzles of two armies, carrying canteens of water. The story of Sergeant Richard Kirkland’s mission of mercy has been immortalized in stone and bronze. It has been exalted as an example of Christian virtue and humanitarian aid. It has also been doubted and questioned. 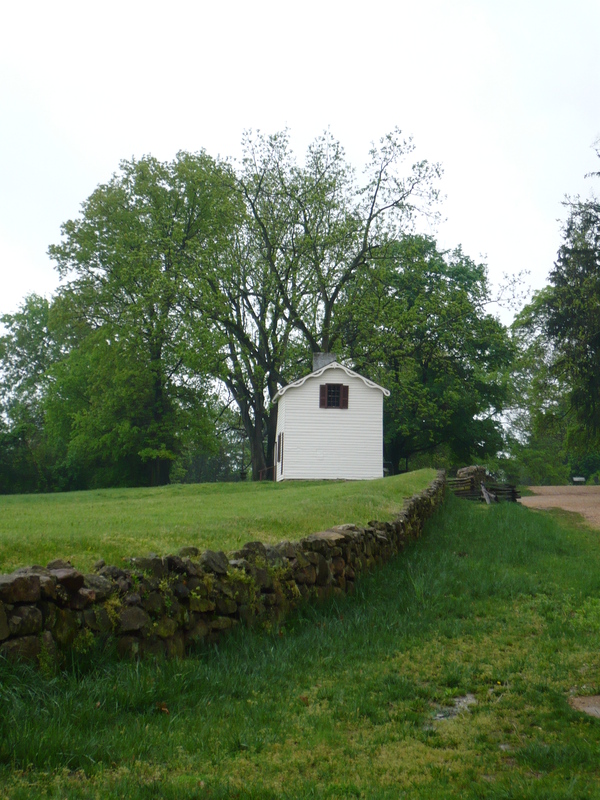 Could a man really have survived walking onto the Fredericksburg battlefield? What could have motivated him to put himself in harm’s way to bring relief to the very men he’d been shooting the previous day? Historical evidence and research firmly suggests the validity of the account of Sergeant Kirkland’s bravery. [i] While the romanticizers of history have labeled Sergeant Kirkland “the angel of Marye’s Heights,” the simple facts of courage and selflessness are clear in the historical account. Sergeant Richard Kirkland of 2nd South Carolina Volunteers[ii] was the son of a “plain, substantial farmer of the olden time.”[iii] In 1861, Kirkland enlisted with the Camden Volunteers, which became Company E of the 2nd South Carolina Infantry Regiment when the unit was mustered in January 1861 to defend their home state. [iv] The regiment saw action at the bombardment of Fort Sumter and was later one of the first Southern units to go to the defense of Virginia, formally mustered into the service of the Confederacy in May 1861. The 2nd South Carolina fought at First Manassas, the Peninsular Campaign, Sharpsburg, and other smaller engagements. In 1862, Kirkland transferred to Company G and was promoted to sergeant. [v] Thus, by December 1862, Kirkland was a veteran of several fierce battles. During the Battle of Fredericksburg (December 11-13, 1862), the 2nd South Carolina – part of Kershaw’s Brigade – defended the Sunken Road in front of Marye’s Heights and had encamped around the Marye House. [vi] Kirkland saw the numerous assaults by Union divisions, charging across barren farm fields and caught in a maelstrom of cannon blasts and rifle volleys. He did his duty as a soldier, shooting toward the advancing enemies in blue. “What is the matter, sergeant?” asked the general. Kirkland returned a few seconds later to ask General Kershaw if he could raise a flag of truce while he went out onto the field. The general regretfully refused and expected Kirkland to resign the mission, but the young man expressed his desire to continue. down, placed his knapsack under his head, straightened out his broken limb, spread his overcoat over him, replaced his empty canteen with a full one, and turned to another sufferer. By this time his purpose was well understood on both sides, and all danger was over. From all parts of the field arose fresh cries of “water, water; for God’s sake, water!” More piteous still the mute appeal of some who could only feebly lift a hand to say there, too, was life and suffering. Statue memorializing Sergeant Kirkland’s heroism, Fredericksburg Battlefield. (Photo by the author, 2008). Conflict and tragedy brings out the best and worst in a man’s heart. The soldiers at Marye’s Heights had seen first-hand the destruction of war, the harsh brutality of fighting for beliefs. Sergeant Kirkland showed the men – wounded and uninjured alike – what it meant to love your neighbor as yourself. Without regard for his personal safety and comfort, Kirkland entered the hostile no-man’s land to bring comfort to his enemies. Angels and Fredericksburg – what a juxtaposition! Christmas and war – what opposites. And yet a historical account shines in the darkness of the Fredericksburg slaughter. Sergeant Richard Kirkland brought comfort and peace for a few brief moments on the battlefield. He showed his comrades, his enemies, and the world what it meant to be merciful. [ii] Kirkland’s unit was Confederate; there is another 2nd South Carolina Volunteer regiment that was part of the Union Army and was a USCT unit, but in this article the 2nd South Carolina refers to the Southern regiment. [iii] J.W. Jones, Christ in the Camp, (1887), page 400. [vi] J.W. Jones, Christ in the Camp, (1887), page 400. [vii] Harpers Weekly, Harper’s Pictorial History of the Civil War (1866), page 416. [viii] J.W. Jones, Christ in the Camp, (1887), page 400. [ix] Kershaw’s account has received some criticism for minor historical flaws and it is unlikely that the former general remembered every word of his conversation with Kirkland, but the overall veracity of the account has been confirmed. For complete details and analysis of Kershaw’s account please view the research of Mac Wyckoff here. [x]J.W. Jones, Christ in the Camp, (1887), page 400. [xi] J.W. Jones, Christ in the Camp, (1887), page 401. [xii] J.W. Jones, Christ in the Camp, (1887) page 401. This entry was posted in Battles, Common Soldier, Emerging Civil War, Personalities and tagged 2nd South Carolina, Angel of Marye's Heights, Fredericsburg, General Kershaw, Marye's Heights, Sergeant Richard Kirkland, Sunken Road. Bookmark the permalink. A noble effort…and I’ve always wondered at the fact that no evidence exists of others from both sides following his example on that field of desperate dying men. Sgt. 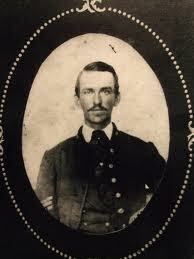 Richard Kirkland was a very real person, a member of Co. E, Second South Carolina Infantry. Freeman used the account by Kershaw which originally appeared in the _Charleston News and Courier_, January 2d, 1880, and was reprinted in the SHSP, VIII: 4, pp. 186ff. Freeman’s other account is an article in _Confederate Veteran_ but Freeman does not give the author or the title. 1. There is no mention of the alleged deed in any of the after action reports of Kershaw’s Brigade, from the report of the colonel of the Second South Carolina right on up the chain of command, including Kershaw himself. 2. No one has ever found a letter written after the battle by a Confederate, of the Second South Carolina or any other outfit, recounting the story. 3. No South Carolina newspaper of 1862-63 has been found which tells the story. 4. An October 16, 1863 South Carolina newspaper obituary on Richard Kirkland, found on line at http://members.aol.com/GreySky285/obits.html does not mention any activities by Kirkland at Fredericksburg – or anywhere else. 5. Dickert’s _History of Kershaw’s Brigade …_ (1899) does not mention the alleged incident (see especially chapters XIV and XV). Dickert was a member of the Third South Carolina and his history is well written and considered one of the better “regimentals” of the Civil War, North or South, by historians ranging from Freeman to Allan Nevins and David Eicher. Indeed, Dickert, who wrote after Kershaw, does include a similar story about a Georgian going over the wall to help wounded Yankees on December 13. Why would Dickert include something about a Georgian and not mention a South Carolinian? 7. Fredericksburg National Military Park historian Noel G. Harrison, in his _Fredericksburg Civil War Sites, December 1862-April 1865_ (1995), vol. 2, recounts Kershaw’s SHSP story, without mentioning any account in CV. He attributes Sutton’s story to either Martha Stephens, whose house was nearby or thinks it might be Kirkland. As I mentioned above, it seems to me that Sutton was talking about someone who came from the Federal lines. 8. Kirkland’s CMSR has no mention of any particular heroism by him at Fredericksburg or any where else for that matter. He appears to have been a good, dependable, solid soldier, no more, no less (He was killed in action at Chickamauga). 9. The various Confederate “Rolls of Honor” do not give Kirkland any credit for anything he did in any of the battles of the War. This is of particular importance since Kershaw would have approved the Roll of Honor and surely would have included Kirkland’s name, if the sergeant had done any thing. 10. There is no Union report of Kirkland: no reminiscence of one of those allegedly succored by him, no mention by anyone who witnessed his bravery, no Federal newspaper of the time, and no letters have ever turned up talking about an unknown Confederate soldier helping the Yankee wounded. Contrast that with the account by Thomas Galwey of the Eighth Ohio of a Confederate sniper near the Bliss Farm who took his life into his hands to help Yankee wounded. Snipers were generally shot on sight but the Eighth held its fire for the man. The Angel of Marye’s Heights must join other Civil War legends as simply that, a legend and not a true story. Those who argue Kirkland did it need to find some 1862 evidence! The old Maxim holds true again, “If a Yankee didn’t say it, it didn’t happen!” Here we go again. The naysayer comes out of the woodwork. Never said this. Never said that. Never heard this. Never heard that. Never found a letter. The sky was purple that day, therefore no one could see such a thing. No one has ever found any evidence. And on and on the naysayer quibbles. I am not certain how to respond to Terry6400. Did he even read my little essay? Of the 10 points I made, 9 were from Confederate sources and only one was a Yankee. If he thinks I am a Yankee naysayer, he should ask me about the veracity of the postwar stories of Joshua Chamberlain! If you want to quote Confederate sources, Kevin Levin, or his one sided Yankee blog is absolutely NOT the source. Using phrases like the above, and calling them any source at all is intellectually dishonest. Yankee historians try every way they know to put lipstick on a pig, but at the end of the day, it’s still a pig. Thank you for sharing your thoughts about the incident I wrote about. It’s nice to hear other’s thoughts on the subject. I’ll be honest and admit that at first I was a little hesitant to use Kershaw’s account. Certainly, accounts written a couple decades after the fact are subject to skepticism (and rightfully so). However, I was pleased to find some research by a historian of the 2SC who actually addressed many of my concerns. (You can find links to this information in the footnotes of this article). This historian detailed the errors in Kershaw’s account and then questioned his motives for writing, eventually coming to the conclusion that there’s no reasonable evidence to suppose Kershaw was lying. And, Kershaw’s account actually came in response to a newspaper article that was published beforehand, describing the Kirkland incident. I believe Kirkland’s actions were real and they must have made an impression on his comrades and enemies. Yes, the lack of letters and documentation by Union men is a concern, but not all letters survive…not all soldiers survive – come to think of it. There are many, many variables to historical documentation. Perhaps the Kirkland account is just a story. Or perhaps – as I believe – it is one of those incidents that was not universally recorded, yet has factual evidence. Either way it is an account which should cause us to pause, reflect, and question if we would be strong enough to love our enemies. Thank you for your story . As a Christian i believe it is true. JOHN HENNESSY and MAC WYCOFF ARE VALUED HISTORIANS AND I LIVE IN NY. Thank you, Thomas. Glad to hear you enjoyed the blog post.